The NARBHA Institute, an IRC 501(c)3 not for profit organization and public charity, is the successor to the former Northern Arizona Regional Behavioral Health Authority. Adopted by our Board of Directors, this evolution reflects our aspiration of aligning our legacy of stewardship with the profound opportunity to advance and improve integrated wellness in our communities. 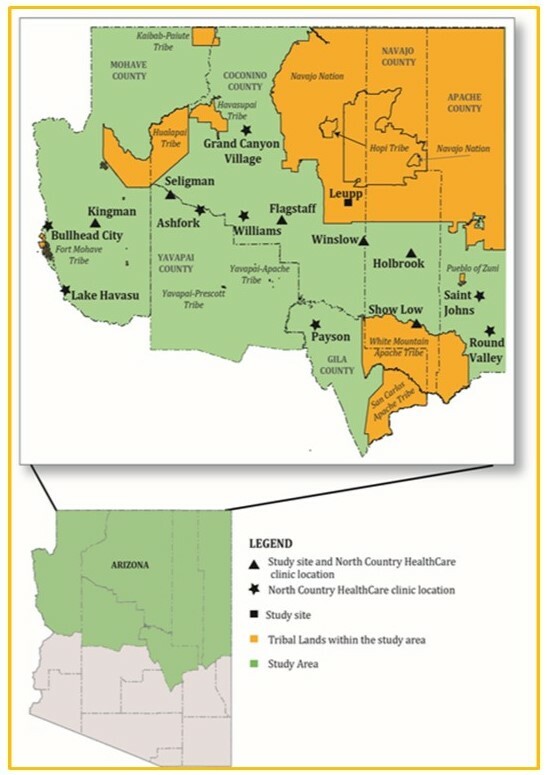 Originally founded to conduct research in the mental health field, NARBHA became a managed care entity and served as the state-contracted Regional Behavioral Health Authority (RBHA) for Northern Arizona. With Arizona’s goal of integrated physical and behavioral health services NARBHA partnered with Health Choice Arizona, an acute managed care plan, forming a joint venture, Health Choice Integrated Care (HCIC), which became the new integrated RBHA. The NARBHA Institute has 50% governance of the HCIC venture. Additionally, The NARBHA Institute oversees two subsidiaries; a supported housing program (Well North Communities) and an economic development organization (The Sustainable Economic Development Initiative - SEDI). Our services focus in Apache, Coconino, Mohave, Navajo, Yavapai and the northern portion of Gila Counties (see map). Our aspiration is to use our organizational influence and funds to enhance wellbeing in northern Arizona. We are grateful to serve as a catalyst and conveyor of transformative solutions. We have begun this initiative by commissioning a Comprehensive Community Need and Resource Assessment in partnership with Northern Arizona Health Care Foundation. This Assessment, led by Northern Arizona University (NAU), will provide an enriched understanding of the challenges and disparities in our communities and will help guide and inform our future priorities. Through our engagement with NAU we have also funded pilot projects to impact wellbeing in two priority areas: critical healthcare workforce and individuals as they reenter society from the criminal justice system. Guided by our Board of Directors and Legacy Council, The NARBHA Institute looks with enthusiasm and energy at emerging trends and innovative solutions and we remain in continuous discovery, sparking catalytic engagement to inform, transform and collaborate to achieve meaningful wellness in the communities we serve.